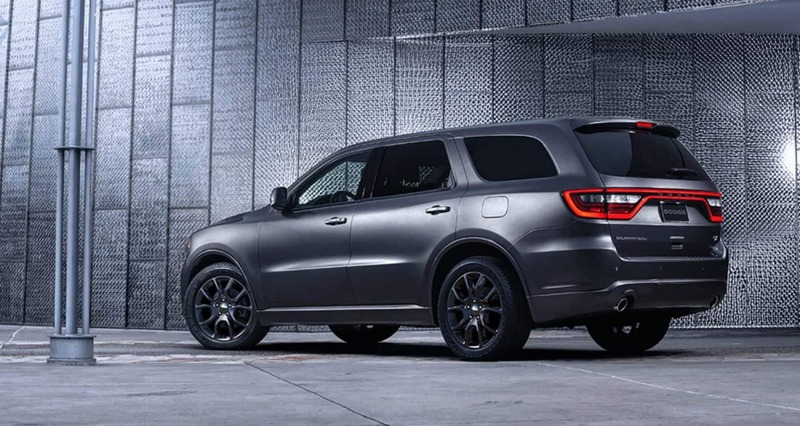 The 2019 Dodge Durango is a loaded performance SUV built for those who need an unhindered power just as much as a reliable and functional family comfort vehicle. The flexibility of the systems available within the Durango range from fifty seating configurations with a maximum passenger count between five and seven people to an energetic hauler that can handle anything between 6,400 pounds to 8,700 pounds towed behind. The variety of the Durango's trims welcomes big hobbies, tough tasks, and families or equipment constantly on the go. What upgrade interior features are available? The latest and greatest of technology and premium materials outfits every aspect of the 2019 Durango. This includes a programmable digital instrument cluster able to display vehicle stats, tire pressure, performance details, and fuel efficiency rates. 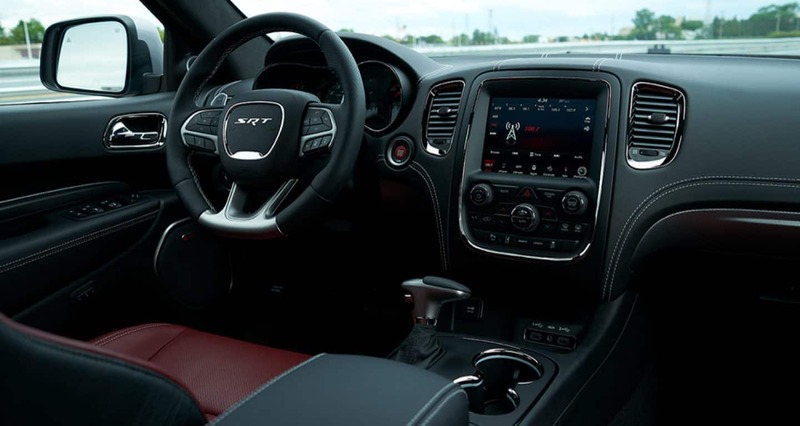 The most recent Uconnect generation is outfitted to every standard 7-inch or available 8.4-inch radio touchscreen, the latter of which is the largest-in-class screen available. Bluetooth audio streaming with voice connect, Apple CarPlay, Android Auto, and a media hub of multiple USB ports and an auxiliary jack are available to personalize the tunes played through its standard six-speaker sound system. Further enhancing the entertainment value of the Durango, there's an available 19-speaker Harman Kardon premium audio system, as well as a class-exclusive nine-inch dual screen Bluray DVD system for the rear seats. The second row comes in choice of either a standard bench or two captain's chairs, as what is now standard within Citadel trims. The optional third-row 50/50 folding bench really rounds out the seating options, providing fifty various seating configurations to balance passenger count with cargo space. A maximum of 85 cubic feet are available for any equipment, goods, and supplies you need on any trim or chore. How do the powertrains' performances compare? 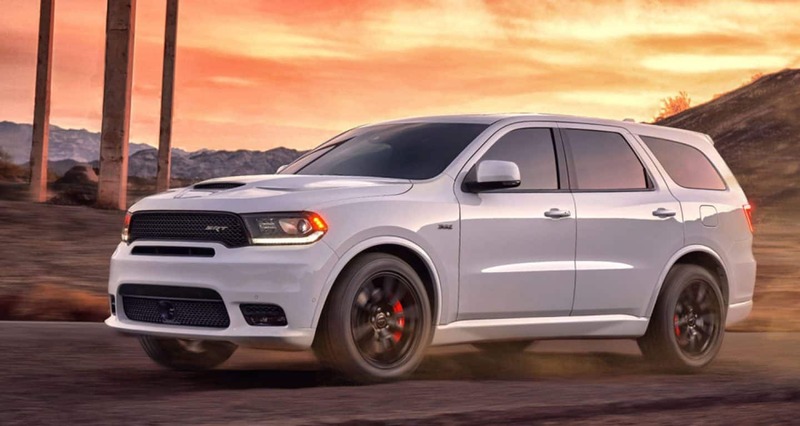 No matter your needs, the 2019 Durango has a powertrain suitable to be able to handle the task. The standard Pentaster V6 is very capable in of itself, generating 260 lb-ft of torque and 295 horsepower that's able to tow a maximum of 6,200 pounds when equipped with the Trailer Tow Package. The 3.6L build is good on fuel, and the engine's efficiency is further improved upon with Engine Start Stop technology, automatically shutting down the use of fuel while the vehicle is at a full stop. It's rated for 19/26 mpg when built with RWD or 18/25 mpg when AWD. 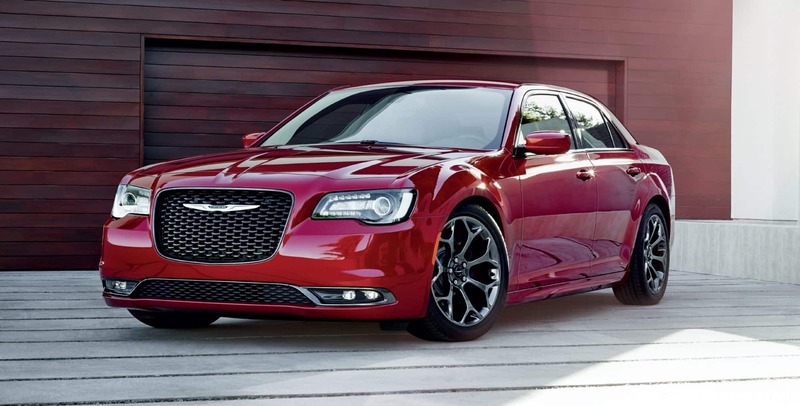 Available as an upgrade for those who need a V8's strength (or just want a V8 sound and performance) is the 5.7L HEMI. This 360hp powerhouse can tow a max of 7,400 pounds thanks to 390 lb-ft of torque. This V8's efficiency is improved upon with Fuel Saver Technology, temporarily pausing the engagement of four out of the eight cylinders when the extra power isn't necessary. 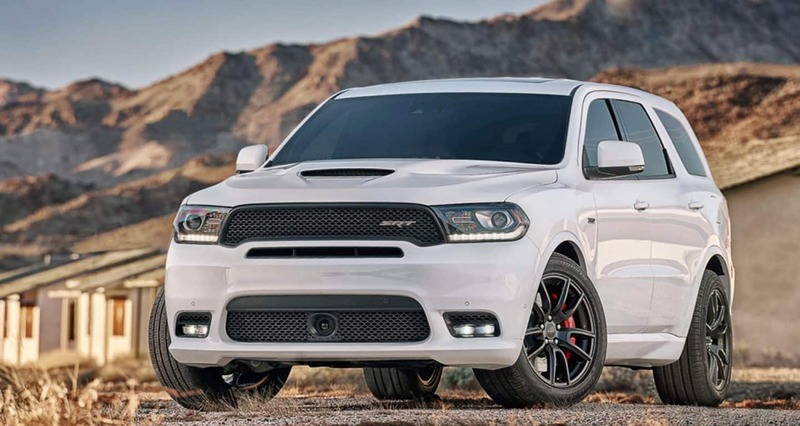 For performance enthusiasts, you'll definitely be pleased by the last engine offered with the Durango's top tier SRT trim. The 6.4L V8 roars with 475 horsepower, launching from zero to sixty miles per hour in just 4.4 seconds also thanks to 470 lb-ft of torque. This engine isn't only fast, though, it's powerful enough to tow a ludicrous 8,700 pounds. What improvements come to the 2019 handling features? Bringing in these amazing tow ratings is the Trailer Tow Package; in 2019, this upgrade now includes an integrated trailer brake system to provide better handling of these large weights. Every Durango is standardly equipped with Trailer Sway Damping to aid in towing control, and a host of other handling systems monitor your vehicle's stability and traction every moment of your drive. Brakes come with speed control monitoring, working in tandem with the stability and traction controls to sense any tire slip and automatically slow the vehicle down to ensure a safe, straight drive. This year, driver assist features available to add are easier to come by! Rear cross-traffic and blind-spot detection sensors are available as free-standing upgrades in every trim of the Durango. 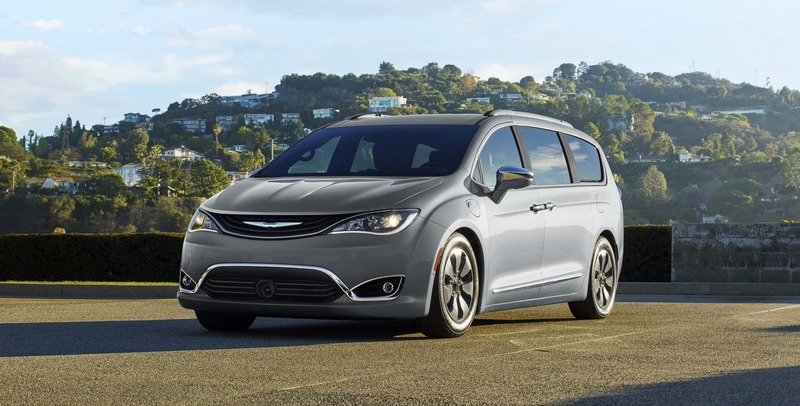 The other features, including adaptive cruise control, front collision mitigation, and park assist, still come bundled within the Safety Tech Package. 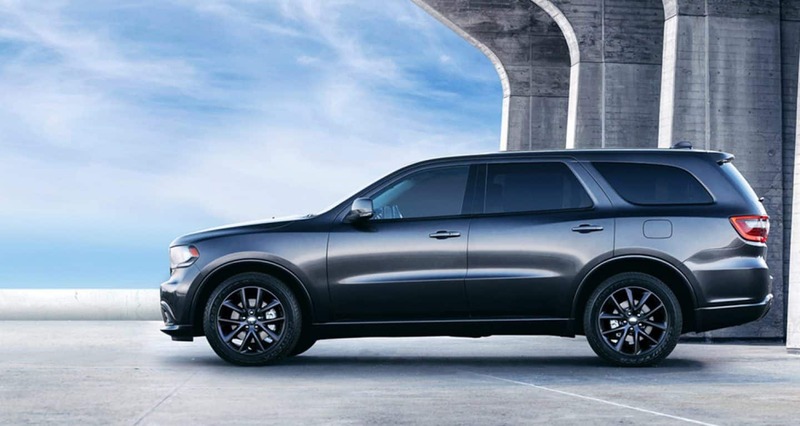 The Durango's performance is legendary throughout its trim models, whether you want a big hauler of family and fun or one of the fastest and most powerful SUVs on the market. Access to the V8s' power comes early and affordably, if that better suits your needs, and the Durango's interior comfort and luxury tends to your every creature comfort need. 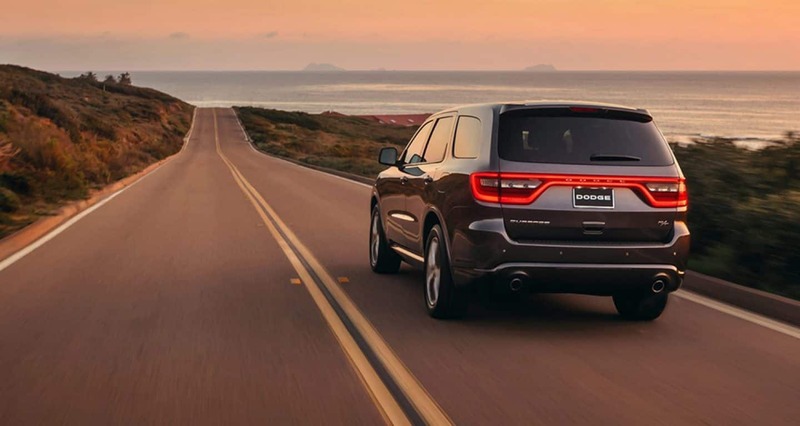 Don't compromise on your next SUV with the 2019 Dodge Durango!